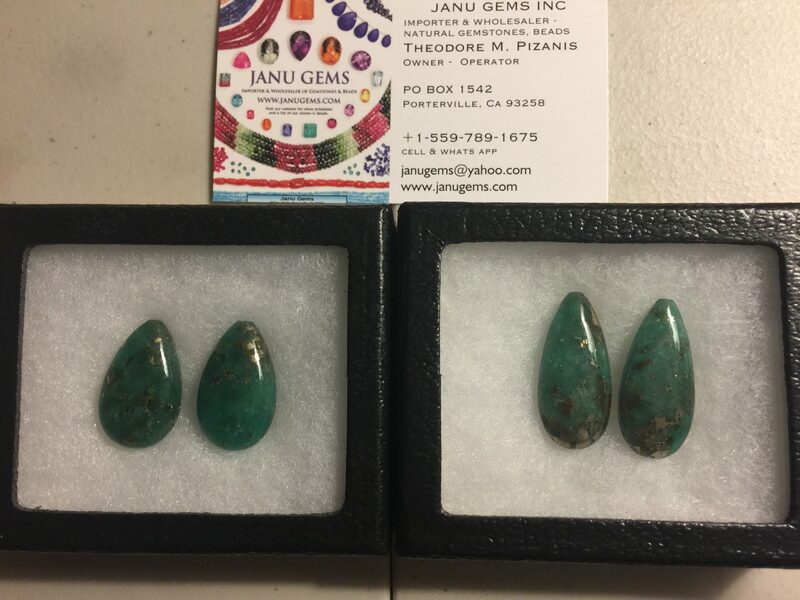 These matched pairs of Columbian Emeralds from the Chivor mines region are a sample of various matched pairs we have in stock. The pricing is at $20.00 per carat with quantity discounts available. Columbian Emerald Matched pairs from Chivor mines, with pyrite .